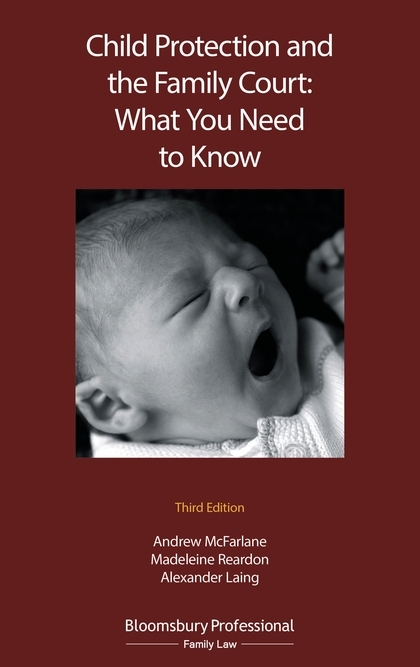 This third edition of Child Protection and the Family Court: What you Need to Know, by Andrew McFarlane, Madeleine Reardon, and Alexander Laing makes an initial and bold claim: “Child protection made simple; the plain-speaking guide for all those concerned with the protection of children”. It’s certainly got a punchier title than on its first and second outings when it was Child Care and Adoption Law: A Practical Guide. I immediately have a flashback to my chemistry lessons at school; where the teacher assumed that I couldn’t possibly be that stupid and my failure to understand must therefore be a malicious attempt to disrupt her lessons. She treated me accordingly, I never did learn how to balance my equations and I was left with a deep and abiding suspicion of those who insist that something is simple because THEY understand it. However, given that my Family Court Practice (The ‘Red Book’) has over the years attempted to cram more and more words on ever thinner pieces of paper in a desperate mission to provide a comprehensive overview of the family justice system, I am certainly not going to turn my nose up at a more portable focus on the area of family law that is of especial interest to me; child protection. So does this text meet its stated aim? As so often in life, the answer is yes and no. On the plus side there is no doubting the pedigree of the authors including our current President of the Family Division and the depressingly accomplished Alexander Laing. The book is clear, sensibly laid out and effort is made to avoid overly complex or ‘lawyerly’ language. There are 11 Chapters. We begin with the basics and a helpful diagram of the various levels of court. I am particularly pleased to see the fundamental principles of evidence set out clearly and efficiently. The gulf of understanding between lawyers and other professionals about the court’s function and evidence required has been responsible for some of the most depressing collapse of a various court hearings over the last decade. ‘Back to basics’ on such fundamental yet profoundly misunderstood and misapplied issues is both welcome and necessary. I am also pleased to see that the last three the chapters tackle head on some issues that have provoked considerable interest and unease over the past years: the detention of children in secure accommodation; what happens when the court is asked to decide disagreements between parents and doctors over their children’s treatment; and the final chapter, which considers ‘Challenging the Local Authority’, recognising at the outset that options for challenge are found scattered all about in a ‘cocktail’ of provisions. However, it is interesting to chart the evolution of the book’s intended audience. On the back of the current edition, ‘parent or prospective adopter’ are included at the end of the list of professionals involved in child protection who will hopefully find the book useful. The authors’ preface is more nuanced and more realistic. “The aim is to provide a comprehensive overview to those who are not specialist lawyers – parents ‘may be assisted by the route map we have provided”. Compare this with the foreword from the first edition in 2006. This identifies the audience for this book as very squarely professionals only – teachers, social workers, nurses and doctors. It is therefore pleasing to see a necessary evolution in approach to now at least acknowledging that parents are part of this process and need to understand and participate on as level a playing field as possible. I applaud the aim of offering this text to the widest possible audience. I think it would be difficult to improve upon the structure and the topics of this text. However it does serve to underline an uncomfortable truth. Some things cannot be made ‘simple’ – because they are not simple. 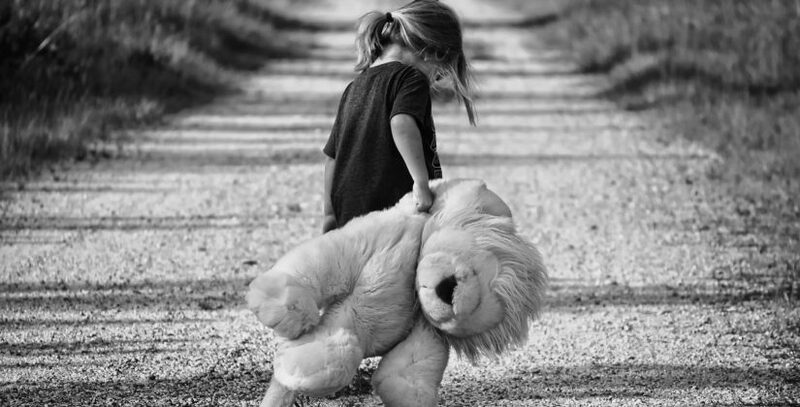 To fully understand child protection law depends upon an understanding of a complicated interplay of primary and secondary legislation, of best practice guidance, of rules and case law. Any attempt to simplify and condense runs the risk of assuming a wide hinterland of previous experience and knowledge. For example, even in a text which purports to provide an overview rather than detailed dissection, 10 pages are devoted to tables of cases, statute law, statutory instruments, international legislation, abbreviations and a glossary. Can this – or indeed any text – succeed in providing a comprehensive overview of children law and the work of the family courts to a wide range of people, many of whom have no legal training or experience at all? I appreciate this isn’t the authors’ stated aim and I agree that this would be a claim too far. Further, I am simply the wrong person to judge how successfully those who are not lawyers will navigate this text and feel comfortable with its underlying principles. I fear I may be in the position of my old chemistry teacher, simply unable to understand why the child in front of me is so unable to grasp such elementary concepts. Therefore, a text such as this I think is an essential part of the library of any aspiring family lawyer and would be a very useful text for other professionals who are involved in child protection work. However, in my view, it would be very unwise to assume that those without legal training or experience will be able to navigate the system on text books alone. We either codify and simplify our laws or we accept that legal aid must be protected. When I have posed the question ‘why does everyone hate the family courts?’ It is becoming increasingly clear to me that the emotional pain inherent for parents in such proceedings is magnified by a baffled lack of understanding of the process and what it hopes to achieve. Unhappily however as we have neither simple and accessible laws nor any governmental will to protect legal aid, such text books will continue to offer a valuable source of help and guidance to all of those involved in issues of child protection. Featured image by Pixabay, via Pexels. Sarah Phillimore is a barrister at St John’s Chambers in Bristol specialising in child protection and other types of family law cases, and is the site administrator of Child Protection Resource.